The centre, which was named after The Queen's father King George VI, was opened in 1958 to help support widows and widowers of the two world wars. Today The Queen visited the King George VI Day Centre in Windsor to mark its 60th anniversary. The centre, named after The Queen's father, opened in 1958 to help widows and widowers of the two world wars. The centre has close ties with The Royal Family – The Queen Mother was one of the first to donate to The Windsor Old People's Welfare Association (WOPWA), the organisation behind the centre. The Queen has visited the centre, which near The Queen's residence Windsor Castle, on its opening in July 1958 and subsequently returned to mark WOPWA's 25th and 50th anniversaries. 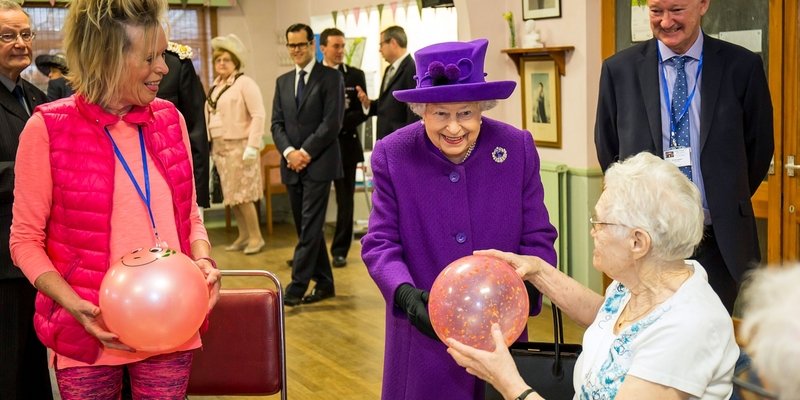 During her visit, Her Majesty met some of Windsor's local residents who use the centre, which operates as a lunch and social club, and saw some of the activities on offer. The King George VI Day Centre provides a safe and friendly environment for older Windsor residents and encourages them to maintain their independence and wellbeing.